A very gentle, crystal clear body wash to cleanse and purify the skin, enriched with sugar cane essence to maintain skin hydration without itch caused by dryness & infused with slightly sweet, floral orange blossom that make the skin refresh and moisturised all the day! This product is mild to sensitive skin & your family for daily use. ➤It contains natural ingredients, so product colour may slightly vary. No need to worry though! 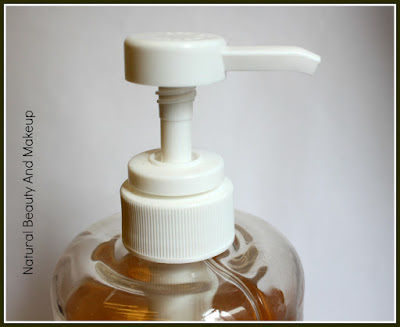 Pump directly into the palm or onto a sponge, work into a lather and wash body. Then rinse with warm water thoroughly. Repeat as desired. o’Naomi Organic Sugar Cane & Orange Blossom Shower Gel comes in a long, cylindrical transparent bottle with a pump mechanism. The necessary details are printed on the packaging in Chinese and English language. This 800ml bottle is quite bulky so not travel-convenient but I love its decent look. 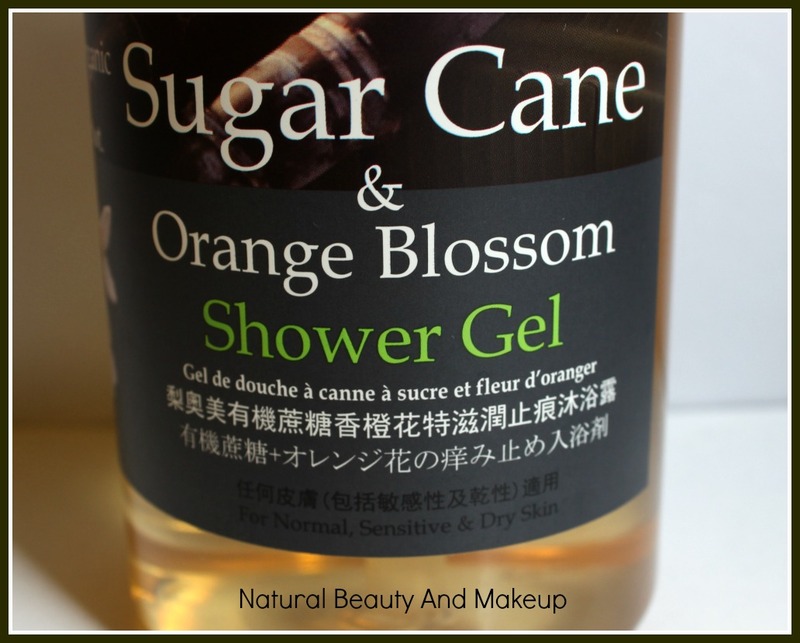 At first glance, the gel appears to be light orange in colour inside the bottle. However, it is actually crystal clear gel with a runny consistency. It has a pleasing fragrance that fades away soon after the shower. The pump packaging allows it to dispense the adequate amount of product as per our convenience. Since it has sort of runny consistency, there are high chances of dropping off the palm, so be careful! I take a copious amount of this shower gel either into my palm or directly onto a sponge, in both ways this works great in removing the grime and impurities from the skin. Infused with the essence of Sugar Cane and Orange Blossom, it releases a pleasant, floral fragrance which soothes my olfactory senses. The gel produces enough lather (not frothy) to work with, making your bath time a lot more fun, I mean if you are like me who loves playing with foams 😜 It gets easily washed off with normal water leaving no slippery feeling afterwards. 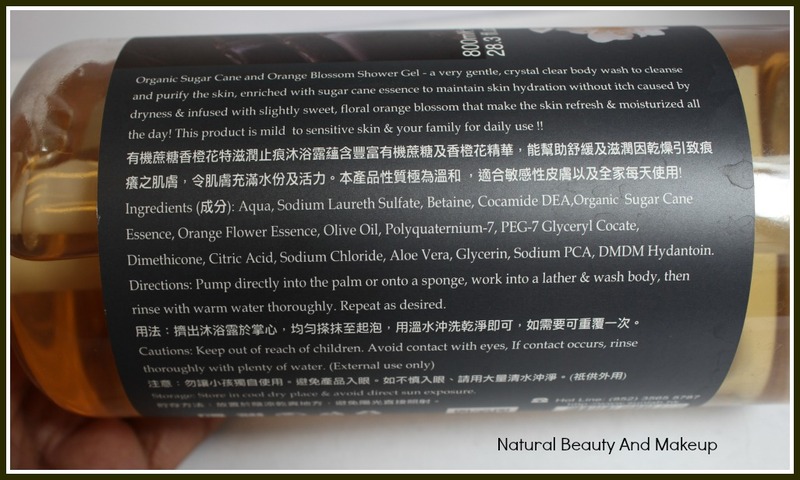 I find it to be a very gentle, pH balanced body wash that neither dries out the skin nor causes any breakouts. It helps make my skin feel clean, fresh and moisturised all day long. 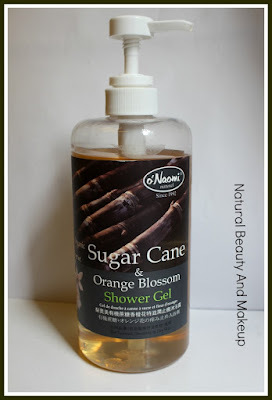 Overall, I liked this shower gel for its nondrying, gentle and soothing formula. I didn’t find its smaller version hence this large bottle but I have no complaints with it except its chemical components. I am not sure if it’s available in India at this moment! 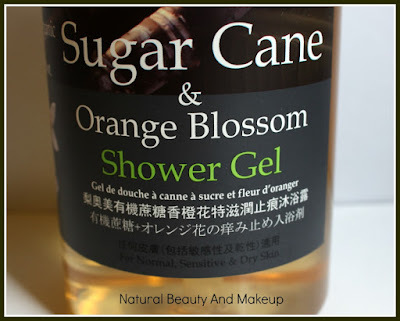 If you are looking for a mild and hydrating shower gel then give this product a shot definitely! 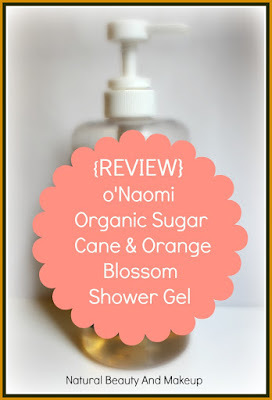 Have You Ever Tried o’Naomi Organic Sugar Cane And Orange Blossom Shower Gel Yet? If Yes, Do Share Your Experience With Me In The Comment Section Below. Seems a nice one but a bit bulky packaging..
sounds good. never used a sugar cane based product before. would love to give it a try. I have issue storing soaps, so my call is also forever shower gel. Convenient and hygienic packaging mainly for. This organic sugar cane gel sounds amazing. Wonder if its available over here. You always talk about the loveliest products. Didn't know the brand, but this shower gel sounds nice. The fragrance sounds beyond amazing. I want to try this out just for the aroma. them as well? This could be a issue with my broeser because I've had this happen previously. times it's hhard too get that "perfect balance" between user friendliness and visual appearance. I must say you've done a great job with this. Also, the blog loads verry quick for me oon Opera. You are most welcome <3 I am so glad you liked the post and commented too :) It means a lot dear, thanks a ton! !